I haven’t bought meat or fish more than a handful of times in more than a decade. Octopus is my exception. 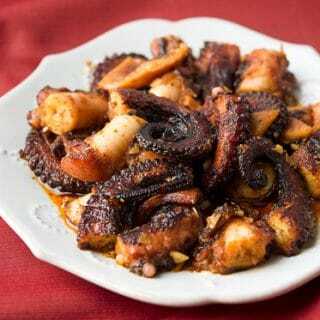 I love grilled octopus, especially Greek style. 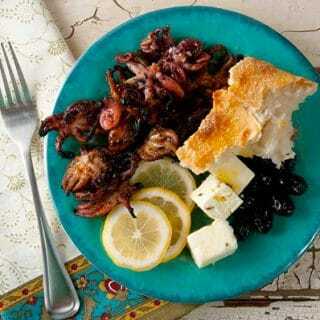 Baby octos served as a meze, a Greek appetizer, is one of my favorite things to eat in summertime. I have a thing for octopus. In the past nine years, I’ve only bought meat or fish for the home a handful of times — and it’s almost always been octopus. This is one of my favorite ways to eat it, a Spanish classic with lots of garlic and paprika. As we close out summer, I refuse to give up the grill just yet. 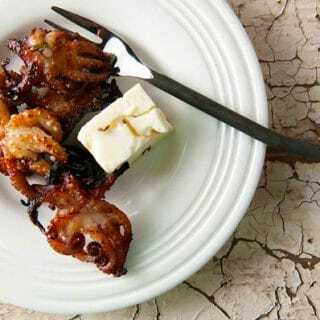 And while I did not actually catch these little octopi, I just had to share with you one of my favorite appetizers of all time: Grilled baby octopus, a Greek classic.